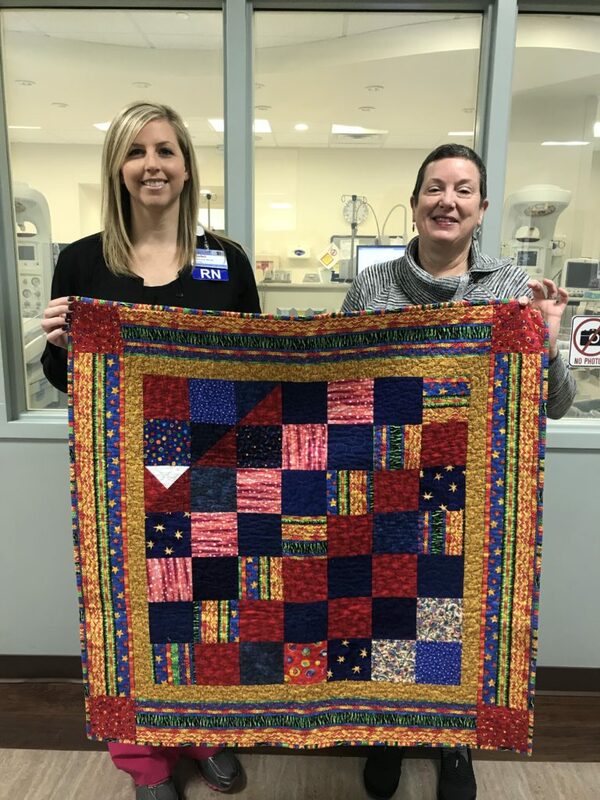 Sandy Allenbaugh is the Chair of Community Quilts in 2019. 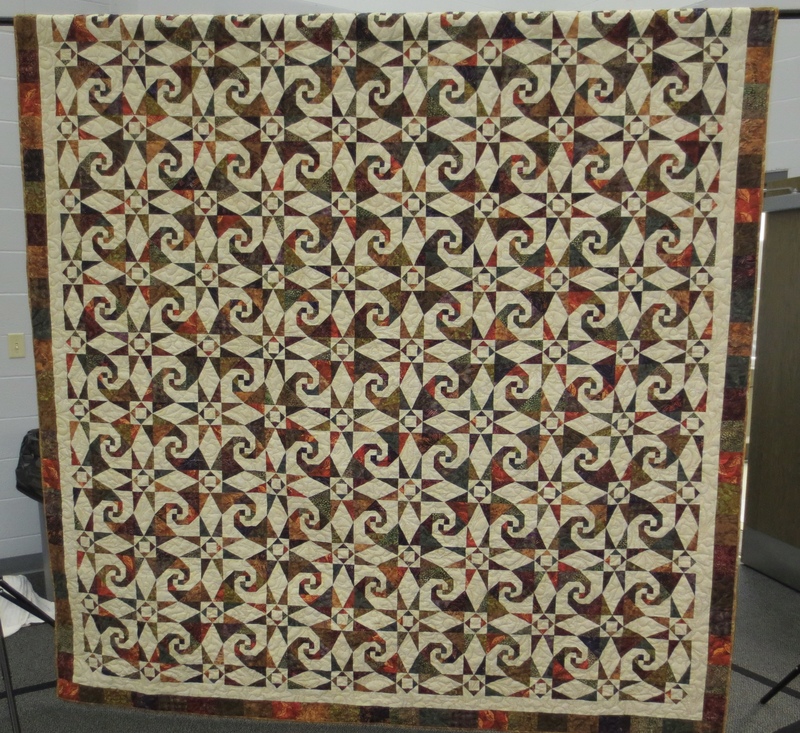 For information about the guild’s commitment, contact us at hillnhollowquilters@gmail.com. 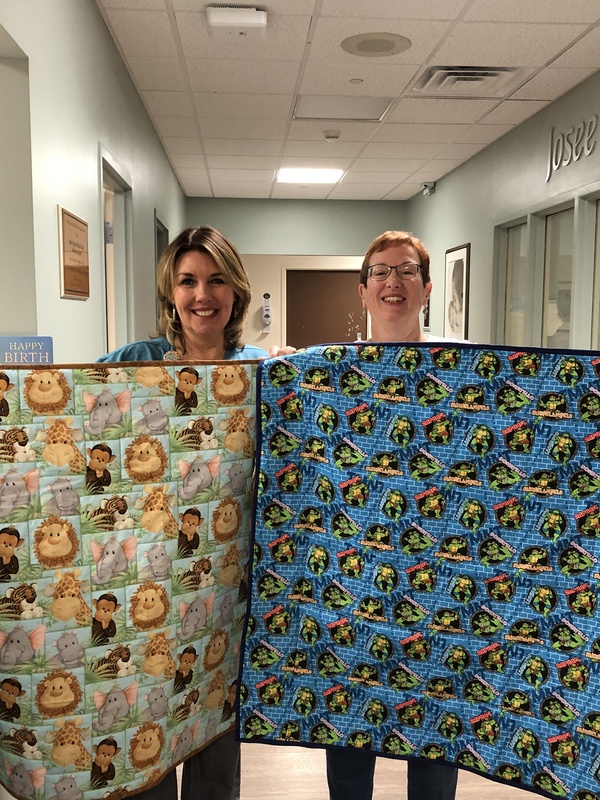 It is our community service project to make baby size or larger quilts that are donated each year to Baxter Regional Medical Center or any other area agency that is approved by the Guild executive board. Currently those include the Baxter County Health Dept., Baxter County Sheriff’s Dept., Mountain Home Police Dept. and Serenity Inc. These are intended to be given to babies, children or families with financial need and/or under a situation of great stress. 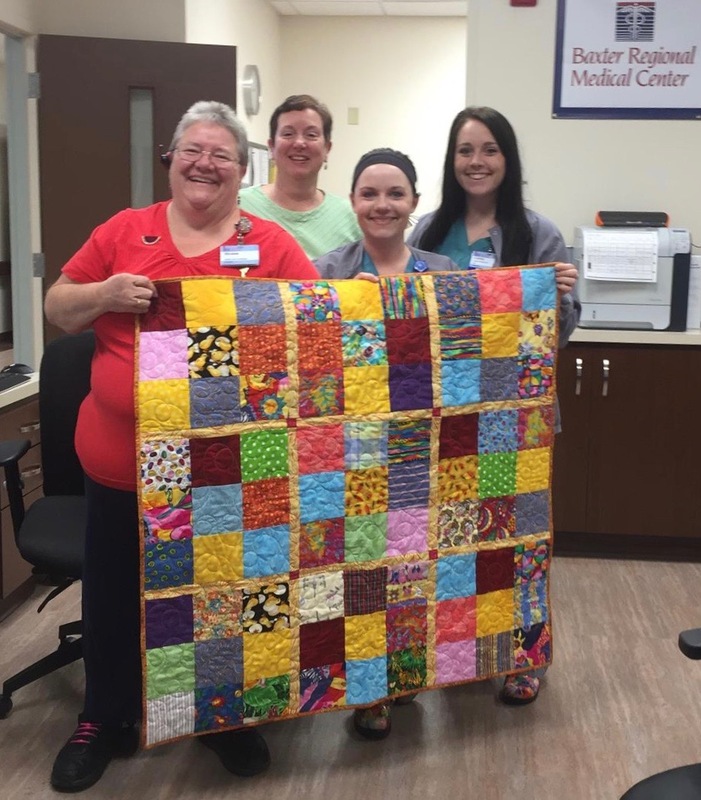 To date, Hill ‘N Hollow Quilters have donated over 6000 quilts to organizations across Baxter and Marion Counties. The Baxter Regional Medical Center Womens’ Center/Nursery was accepted by Regina Fears RN on April 3, 2019. 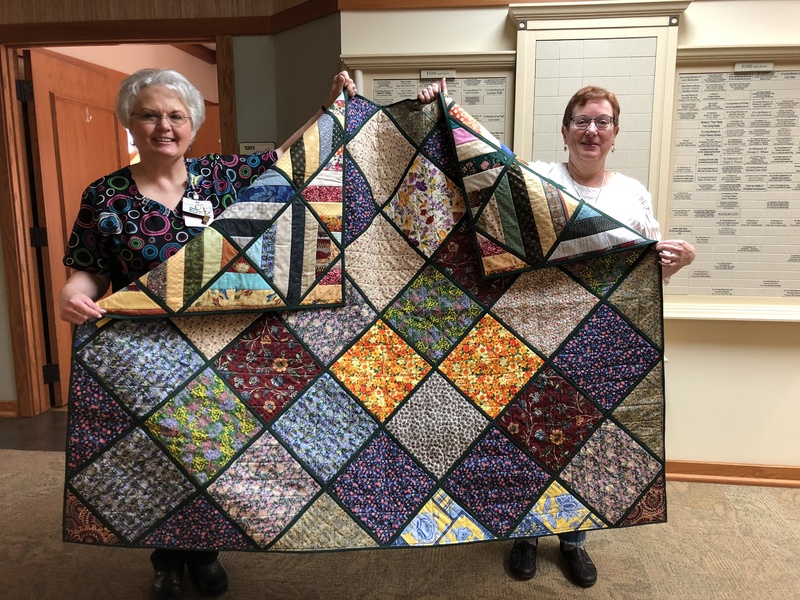 Below, Linda Lamley LPN accepting quilts for Hospice House of the Ozarks on 3 April 2019. In 2017, the guild donated 128 quilts. The Guild has a commitment of one quilt per member and encourages members to make additional quilts. Those who make five or more quilts during any one year will receive a special pin chosen for the year. 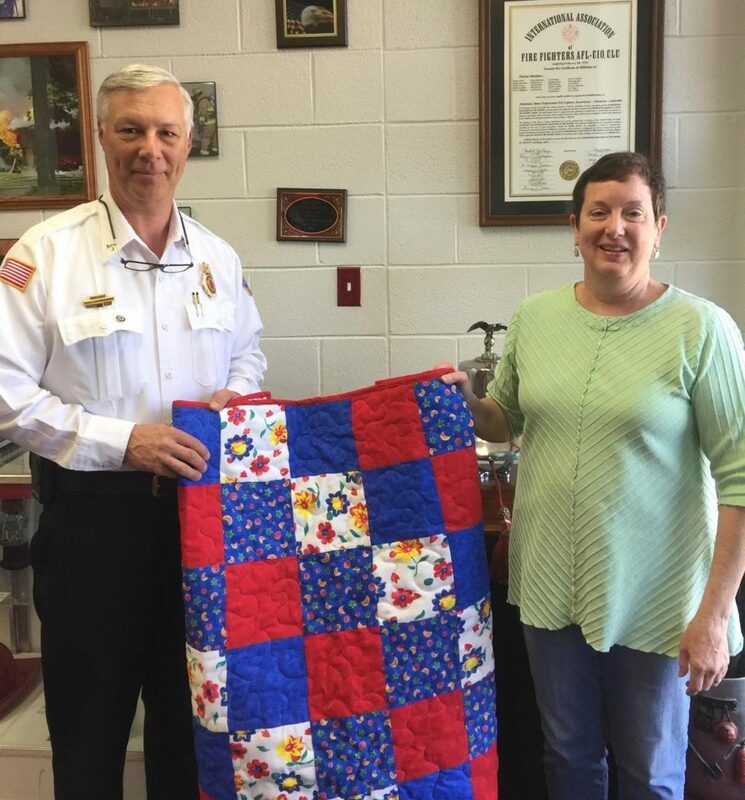 A twin size quilt donation will count as 2 quilts; and if different individuals piece and quilt a quilt that both will receive credit for donating one quilt. 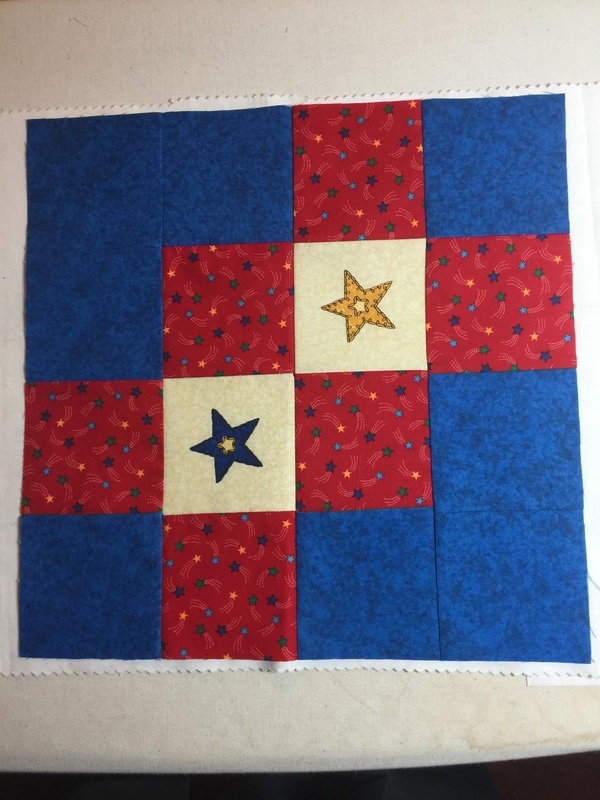 Fabric – We tend to use 100% cotton fabrics in our quilting projects, but baby quilts are an opportunity to use up some cotton/polyester blends that might be in our stash. Flannel may also be used. The choice is up to the member. 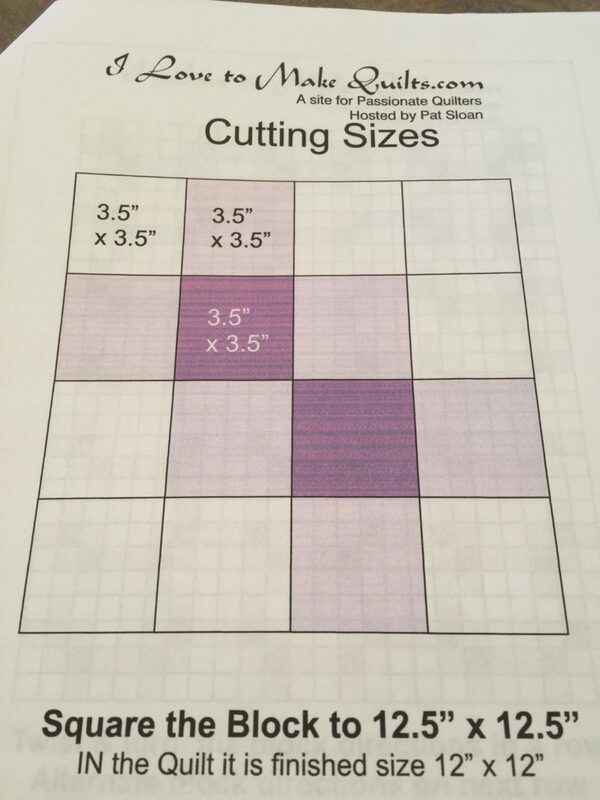 Size – Baby quilt panels are 36 x 44 and baby quilts should be at least that size or slightly larger. Batting – Batting loft and fiber appropriate for the type of quilt should be used. Leftover batting strips of the same type may be pieced to make the size needed. Packaged crib batting is 45” x 60” or you can cut up a queen-size batt (90” x 108”) and get four 45” x 54” batts or six 36” x 45” batts. Crib batting is frequently available from the Community Service Quilt Chair. Tops – Any pattern of the maker’s choice may be used. It may be a single fabric (plain or printed), pieced or appliqued. Backs – These may be made of single fabric (easily done if you limit one dimension to no more the 45”) or you may use larger leftovers to quickly piece a back. Lap robes (approx. 52 x 64) and twin size (approx. 72 x 90) quilts that are appropriate for older children or adults may also be turned in to the Community Service Quilt Chair at any meeting. They should also follow the above guidelines, except for size. You will be given credit toward earning a pin for these also. Be sure to carefully check all quilts for any forgotten pins before turning them in. Have fun! Be creative! Try out a technique or method you might want to incorporate in another project you are considering. It will not be judged. But it will be appreciated. Sandy found several free patterns from Pat Sloan. Click on the link to download instructions. Photos samples are below. 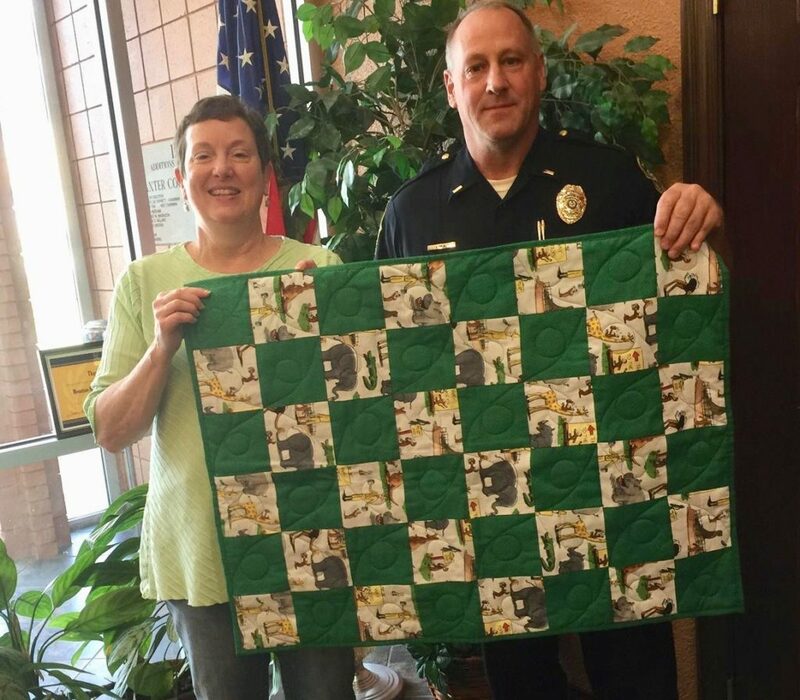 Turn in your quilt(s) to the Community Service Quilt Chair, Sandy Allenbaugh, so that you are credited with your donation. 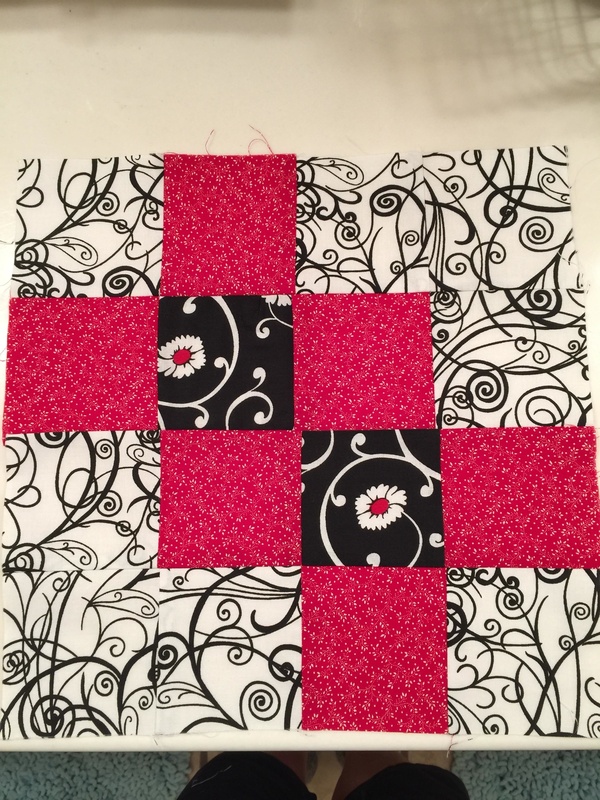 The Community Service Quilt Chair may also determine a time for a group sewing event to make baby or other community service quilts as the need arises.